Made to excel in the demanding Enduro World Series, the Santa Cruz Bicycles Hightower LT C S Complete Mountain Bike is an absolute trail demon. 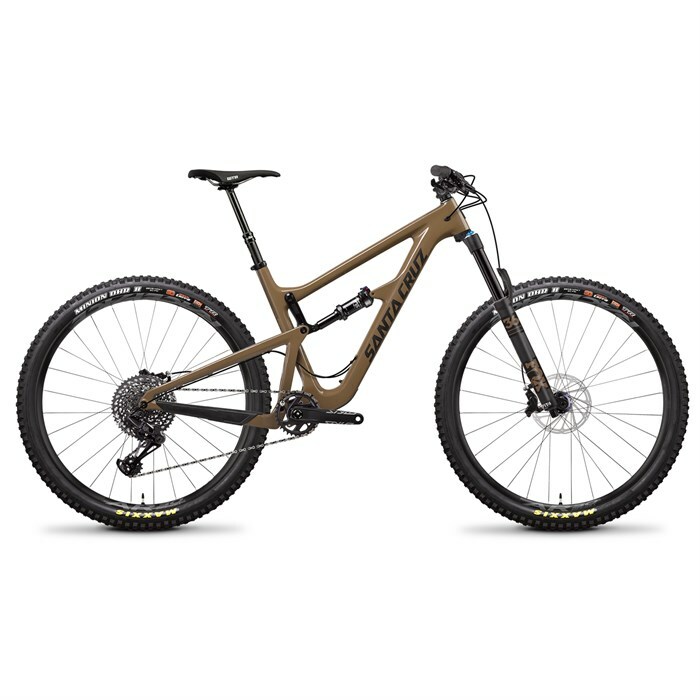 This bike climbs like the efficient 29er it is, with all the fast-rolling grip in the world, but it's on the downhills where this bike shines. 150mm of VPP travel absolutely gobbles up the rough stuff, revealing new lines and shockingly-late braking points on your favorite trails--you're going to have to readjust your riding approach and come up with some new excuses for not riding those psycho sections--because this bike can absolutely handle them. With a carbon fiber frame made so beefy that Santa Cruz guarantees it for life, this is all the bike you're ever going to need. Maxxis Minion DHR II Tires  The trail version of the Maxxis Minion DHR II features the same tread pattern as its downhill counterpart, but uses a single-ply casing to reduce weight. With side knobs borrowed from the legendary Minion DHF, but widened to provide more support, the DHR II corners like no other. The center tread features ramped knobs to improve acceleration and sipes to create a smooth transition when leaning the bike. Paddle-like knobs on the center tread dig in under hard braking and help keep the bike under control. Front Tire: Maxxis Minion DHR II 3C Silkshield | 29 x 2.4"
Rear Tire: Maxxis Minion DHR II 3C Silkshield | 29 x 2.4"